Ferry from Penzance with Scillonian Ferry. Travel between 9th July and 5th September. £150 per person deposit. An elegant, extensively refurbished townhouse situated in Hugh Town and only a 3 minute walk to the town centre and beaches. 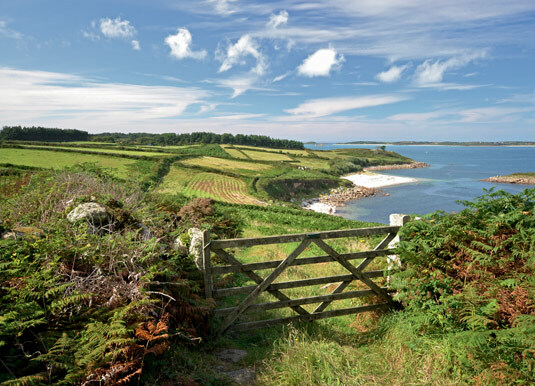 St Mary's is the Isles of Scilly's largest island but still less than two and half square miles in size. It is an island of colour and contrast that also acts as the gateway to and from the mainland and to the off-islands of Tresco, St Martin's, Bryher and St Agnes. Hugh Town is the central hub with its cluster of shops, banks, churches, post office, cafes, galleries, restaurants and pubs as well as the wonderful museum. 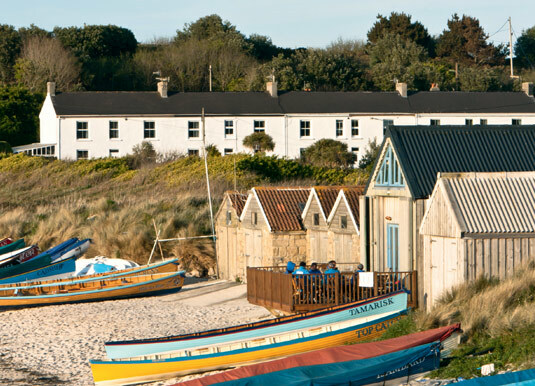 It has three lovely beaches in very close proximity – Porthcressa which boasts golden sands and a lovely promenade; Town Beach, which is a great vantage point for looking out across the harbour to the quay; and Porthmellon, a popular local beach and perfect for watersports. It's also the home of the pilot gigs (rowing boats) and regular inter-island races take place here every Wednesday and Friday evening during the summer. The historic capital of the islands, Old Town, nestles on a beautiful sandy bay on the south coast. Visit the artists' studios or nature reserve and take a walk under the elms to Old Town Church, where services are held by candlelight. Up country, away from the relative hustle and bustle, St Mary's is full of hidden treasures. 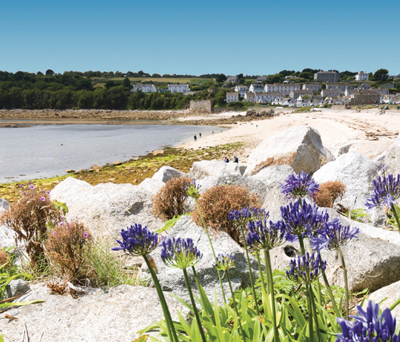 The coastline features large stretches of deserted white sandy beaches, dramatic rocky coves, stunning seascapes, amazing archaeological sites, beautiful walks and scenery along miles of coastal and country paths and nature trails. You can also explore by bicycle, horse ride around much of St Mary's or set off on the water in a kayak! The exhibitions at the Isles of Scilly Museum tell the story of this archipelago through the ages through historical artefacts from wrecks, archaeological sites and daily life on the islands. Other notable sites include the megalithic village at Bant's Carn and the Iron Age settlement at Halangy Village. 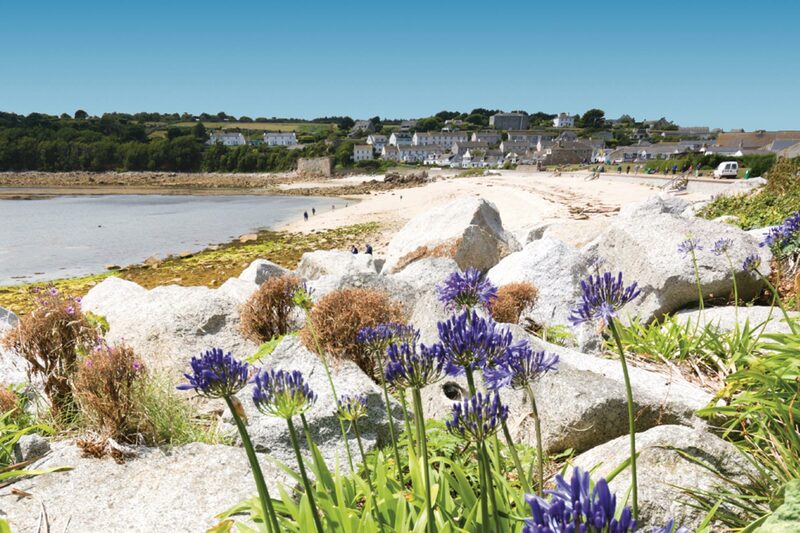 There's lots of activities available on St Mary's including tennis, sailing, windsurfing, scuba diving, fishing, coasteering and golf at the Isles of Scilly Golf Club, which has some of the most panoramic views of the islands. Boat trips are also recommended around and amongst the islands to see seals, seabirds and some of the island's shipwreck sites. 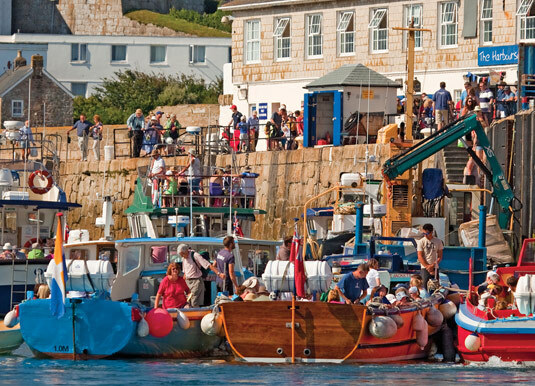 You'll never go hungry on St Mary's, whether you're grabbing a quick sandwich, taking tapas on the terrace or dining in style on Scilly-caught seafood, you'll find the food fresh, local and delicious.